The Instituto Cervantes, the Universidad Autónoma de México (UNAM) and the Universidad de Salamanca have just launched the new Siele exam. This is the only international exam that is able to certify you level of fluency in Spanish. It is being compared to the TOEFL and IELTS, but for Spanish. In September 2015 and during the next three years the Siele exam can only be taken in Brazil, United States and China where at least 300,000 candidates are expected each year. By 2020 there are expected to be around 700,000 candidates per year. How is the Siele exam? The speaking section is recorded in case there is any reason to recheck your score. The entire exam includes the 4 tests above though each test can also be taken separately. Results will be given in a maximum of three weeks. If a candidate completes the entire exam (all 4 tests), they will receive a certificate that will be valid for 2 years. If only one of the tests is taken, then the candidate will receive a report with the results. 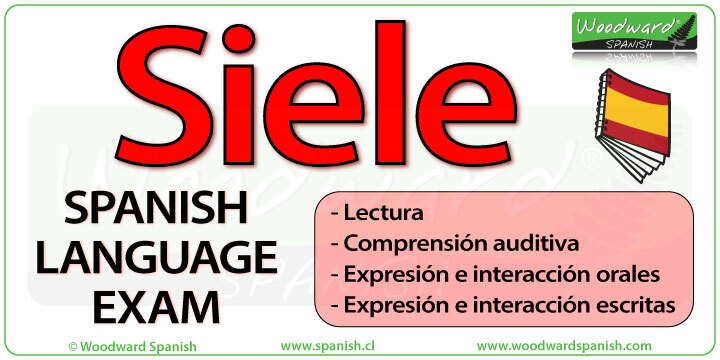 The cost of the Siele exam will be approximately 100 Euros for the complete exam.